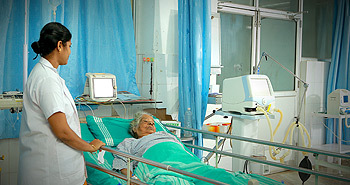 Department of Ophthamology was started in 2002. It is committed to provide the best available care for all patients who suffer from eye related ailments. Identifying the need of the community and the benevolent contribution from CBM, Dr.SM C.S.I Mission Hospital started the community health care development in the eye care aspects from its camps and community outreach programmes. Community Eye Care Services of Dr. Somervell Memorial Mission Hospital was able to render ophthalmic care to the patients of its targeted area (Trivandrum, Kanyakumari, Quilon and part of Aleppy Districts) through Camps, School Screening programmes, Awareness classes, Specialty Clinics etc. Post graduate course for MS in Ophthamology commenced in 2013. The two candidates admitted in the first year have completed the course successfully and passed. Regular academic activities in the form of Journal clubs, seminars and clinical discussions are conducted regularly for the PGs. 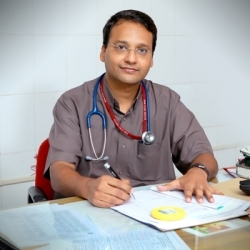 They have teaching programmes in the form of ward rounds, case discussions and topic presentations regularly. Their performance is evaluated periodically by short tests. The department pursues its activities with its regular OPD clinics for the diagnosis and detection of eye disorders.